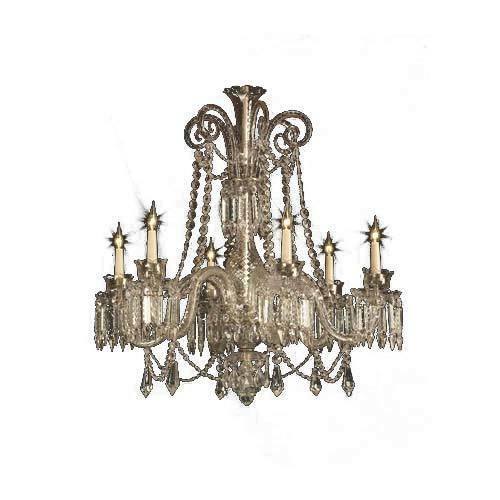 This 6 Light Small Chandelier with serpent arms swagged with small crystals joint together with brass wires or pins is an elaborate design. The small size suits the practicality of hanging them in today’s apartments. 2011-12 Rs. 2-5 Crore Approx. We "Collectors Corner " were incorporated in the year of 1977 with the sole aim of manufacturing; supplying, exporting and trading precision engineered Period Furniture and Decorative Accessories of optimum quality. Under this offered range, we have Antique Colonial Furniture, Architectural Pieces, and Art Deco Furniture. We manufacture these products using only high-quality components. These products are highly admired in the homes, hotels and many more fields for their features like high attractive pattern, robustness, and crack resistant, high strength and easy to use. Moreover, we are also offering Sourcing and Buying Agents Services to our clients. The combination of our modern and upgraded infrastructure, skilled staff, and experienced leadership has made our company a desired position by offering high-quality products. Owing to all these factors, we are a prominent resource to avail the all offered products as per the demands of clients. Our offered services are well known for their accuracy, flexibility, timely execution, reliability, and cost-effectiveness. We also ensure that the products offered by us are delivered within the promised time frame. Our transparent dealings, ethical business policies, and easy payment modes have placed the organization at the top of success. Along with this, we have the long list of our customers across the globe. Our exporting countries are USA, UK, Europe, Australia, South Africa, France, Singapore, and china.